Photo courtesy the Ministry of Works and Transport. 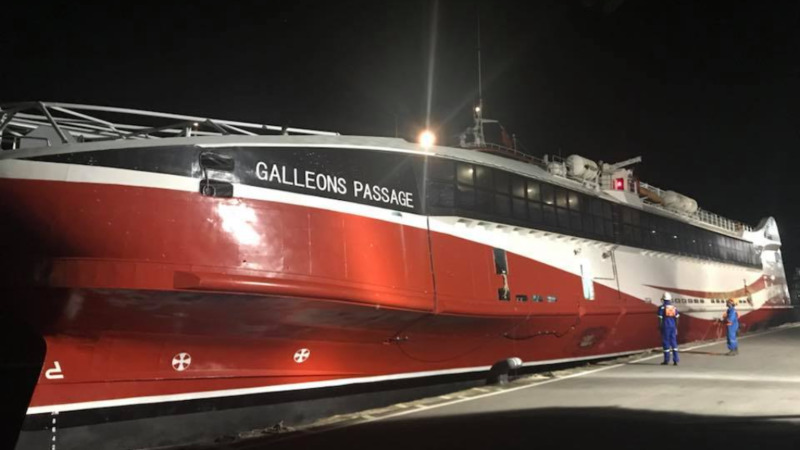 The Galleons Passage is expected to be put into service on the inter-island sea bridge as early as the end of the month. 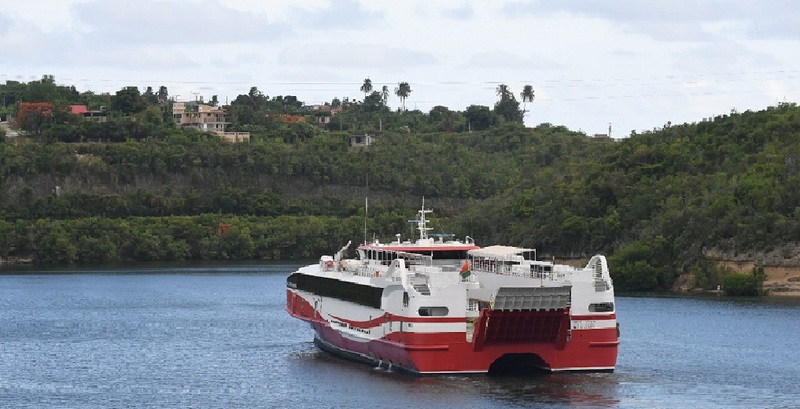 The new ferry arrived at the Port of Port of Spain around 11 pm on Monday, after leaving China for T&T in February and encountering a number of delays along the way, largely due to weather conditions. Media were given a tour of the vessel on Tuesday. 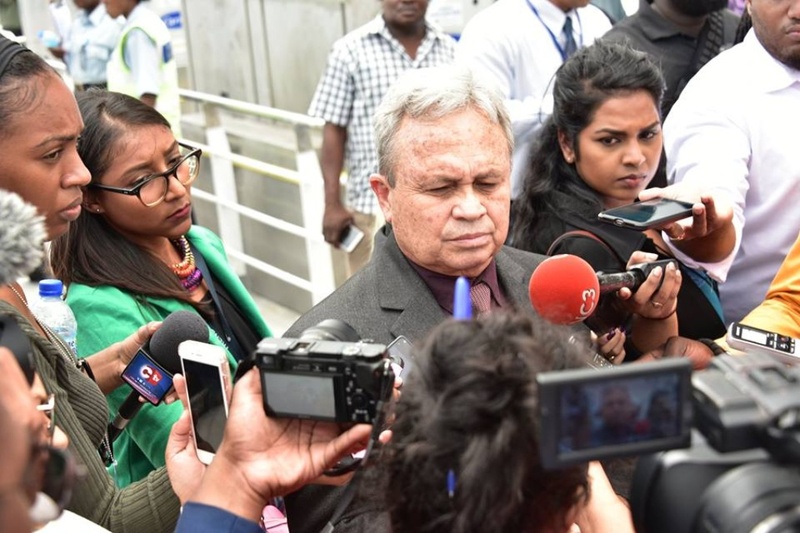 Speaking with reporters on the tour, Works Minister Rohan Sinanan said certification and crewing of the vessel must be done before it can be put into service. Video via Facebook, the Ministry of Works and Transport. He said the goal would be to have the vessel in service as early as possible as it’s now the vacation period. 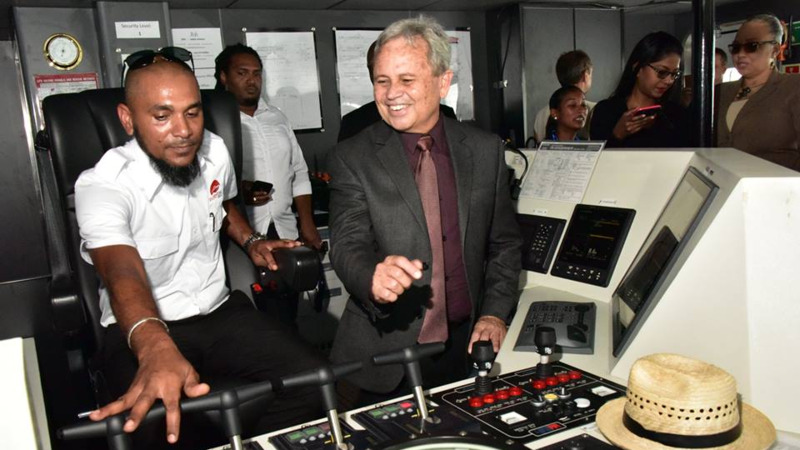 Pictured: Finance Minister Colm Imbert fields questions from reporters on a tour of the Galleons Passage. Photo courtesy the Ministry of Works and Transport. 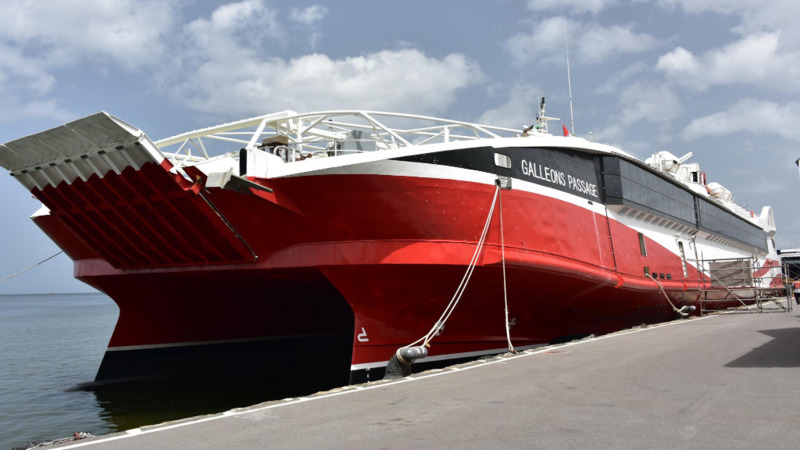 Imbert agreed, stating that the boat would be put into service 'immediately'. He indicated that it was just a matter of ticking boxes at this stage. “The most difficult part of the process would be to get the crew together. I would think everything else is straightforward. But they have already engaged an international ship manager – the same ship manager that brought the ship all the way from China. Regarding retrofitting works, he said a decision is yet to be made on whether it will remain as a sun deck or be covered. He said the best test would be to put the vessel to work and have passengers give their feedback on the addition. “Some people may enjoy the sun, especially if we have tourists going from Trinidad to Tobago,” Sinanan noted. The vessel has 600 seats on the lower deck and accommodation for 100 passengers on the upper deck which remains uncovered at this time. 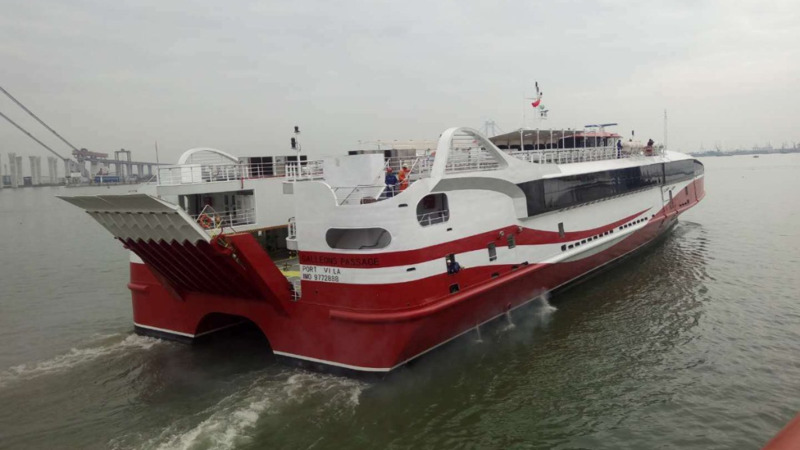 The new ferry caters to the needs of the differently-abled, being outfitted with spacious washroom facilities. The Galleons Passage can transport 100 cars.